We all know how hard it can be sometimes to keep up with our goals. There is always a “reason” why we don’t have time or energy to work out. 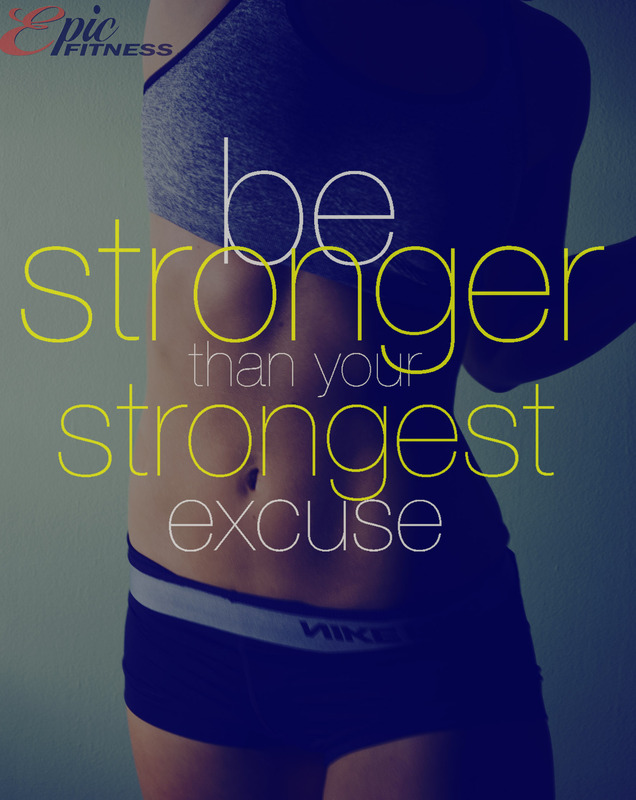 Learn to recognize your excuses and decide to be stronger than your strongest excuse. There is always time to move our bodies, even if it is only for five minutes. Take a walk, do 3 sets of 10 push-ups, or 20 jumping jacks on the minute every minute for 5 minutes. Anything is progress! Be strong. Be EPIC! And you could be next!